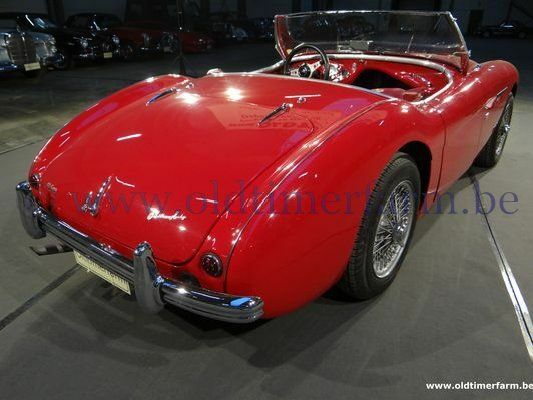 Austin-Healey produced cars until 1972 when the 20-year agreement between Healey and Austin came to an end. Donald Healey left the company in 1968 when British Motor Holdings (BMC had merged with Jaguar Cars in 1966 to form BMH) was merged into British Leyland. 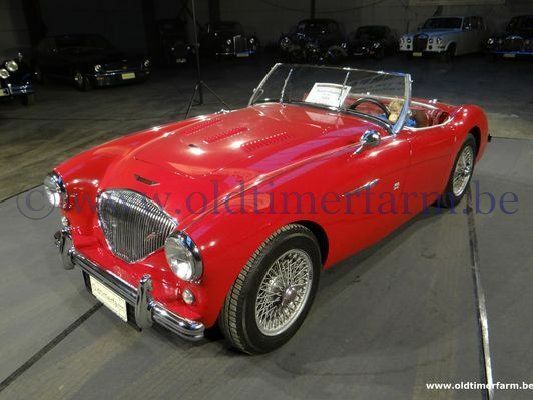 Healey joined Jensen Motors who had been making bodies for the "big Healeys" since their Production Austin-Healey 100s were finished at Austin's Longbridge plant alongside the A90 and based on fully trimmed and painted body/chassis units produced by Jensen in West Bromwich — in an arrangement the two companies previously had explored with the Austin A40 Sports. The first 100s (series "BN1") were equipped with the same 90 bhp (67 kW) engines and manual transmission as the stock A90, but the transmission was modified to be a three-speed unit with overdrive on second and top. The 2660 cc I4 engine featured an undersquare 87.3 mm (3.4 in) bore and 111.1 mm (4.4 in) stroke. Girling 11 in (279.4 mm) drum brakes are fitted all round. Front suspension is independent using coil springs and at the rear is a rigid axle with semi elliptic leaf springs. The steering is by a cam and lever system. A BN1 tested by The Motor magazine in 1953 had a top speed of 106 mph (171 km/h) and could accelerate from 0-60 mph (97 km/h) in 11.2 seconds. A fuel consumption of 22.5 miles per imperial gallon (12.6 L/100 km; 18.7 mpg-US) was recorded. The test car cost £1063 including taxes. These were built from May 1953, and replaced by the BN2 model in mid-1955. Bodywork : length/width/height/wheelbase – cm (in) : 400/154/124/233 (157.5/60.5/49/92); weight : 1105 kg (2436 lb). Engine. Inline 4 2660 cc, 2 SU carbs, front, 3-speed manual gearbox, rear-wheel drive. Maximum power : 90 bhp .